I’ve loved sports my whole life. As a young kid, sports were a major part of my daily routine. I played almost everything; football, baseball, basketball, soccer, and hockey. Unfortunately, my passion for sports didn’t translate into skills and as a mediocre athlete I soon found myself as a spectator. I continued to work out in the gym, with no real direction or goal. It was something I did with friends and never saw any real results. But it kept me physically active and was something I enjoyed. After High School, I attended Boise State University and graduated with a Bachelor’s degree in Business Management. Post-graduation, I began working for Bodybuilding.com where I learned about proper nutrition, supplementation, and exercise. I started to lose weight, gain strength, and find a renewed passion for something physical. Again, after years with no specific goals and only a desire to “look good”, I quickly burned out and lost interest in routine workouts. Later, a coworker started coaching a few of us through CrossFit-inspired workouts at our corporate gym. Despite the lack of equipment and weird stares we got from the regulars, I fell in love with the movements and methodology. A few months later, my beautiful and amazing wife signed me up at CrossFit Fireside where I instantly knew this was where I wanted to be. The coaches and community of athletes were welcoming and encouraging. I finally started to feel reconnected with the sporting passion that I had when I was younger. As time went on, my passion grew and I decided that I wanted to further help motivate and encourage others to meet their fitness goals. 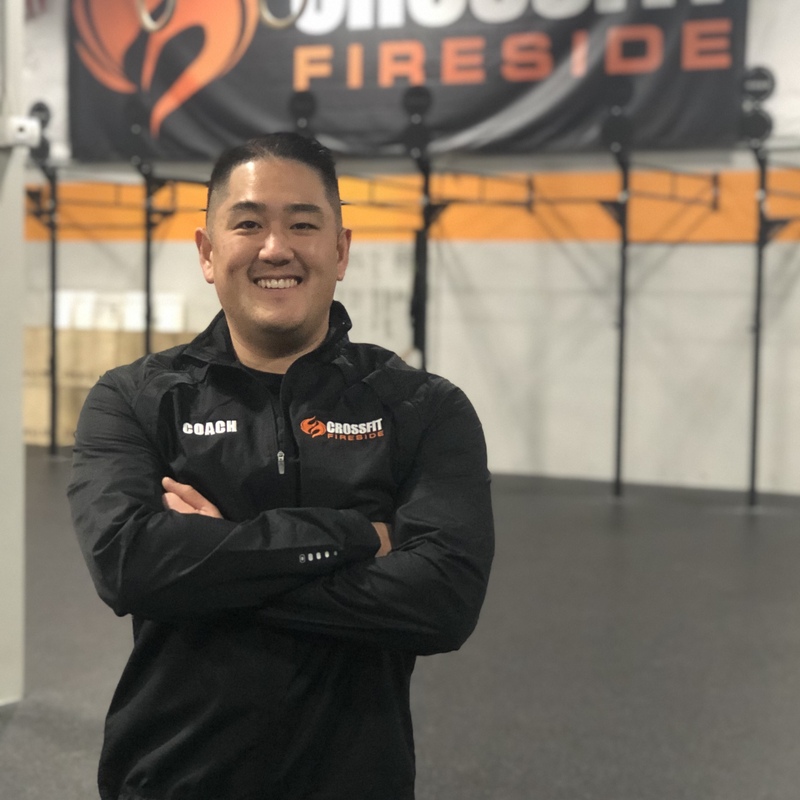 With the support of my wife and 3 kids, I pursued and completed the CF-L1 Trainer Course and immediately started my internship with CrossFit Fireside. I’m excited to be part of an amazing team and community of fitness.